Have a question for Puerto Pension? "We enjoyed staying here and even came back on our return trip." "Breakfast are good, nice and clean room"
Puerto Pension is the ideal point of arrival or departure for your trips in Palawan. Well-positioned in the heart of Puerto Princesa City, it is just 10 mins from the airport and 1.5 km from the city center and a leisurely walk to the Baywalk Seafront Promenade. Puerto Pension has been awarded Best Performing Frontier Group Member of the Zero Carbon Resort Project from 2012 to the present. 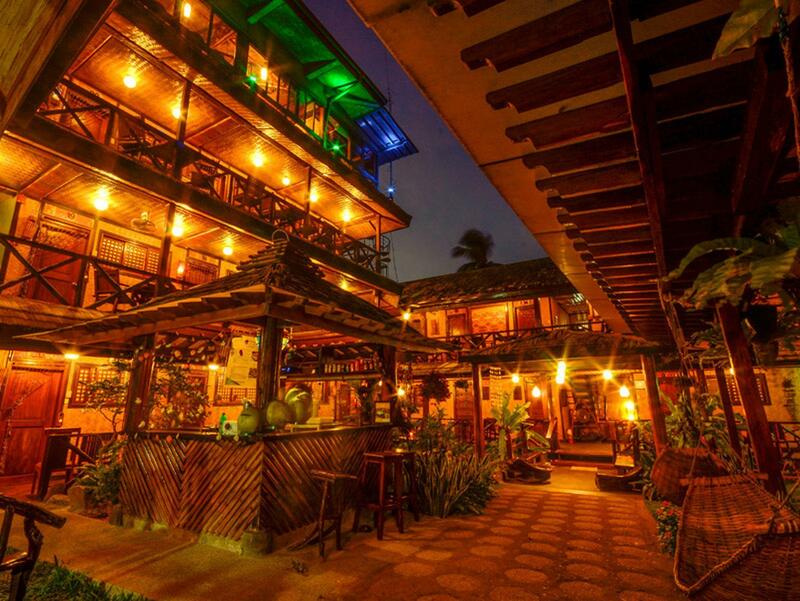 With free breakfast at the Tribu Roof-Top restaurant with the best view of Puerto Bay,Wi-Fi in public areas, smoking area, garden bar ,Outdoor Jacuzzi and novelty shop. Arrangements for airport transfers, Underground River,Honda Bay tours, and other needs can be made by the friendly and accommodating staff. 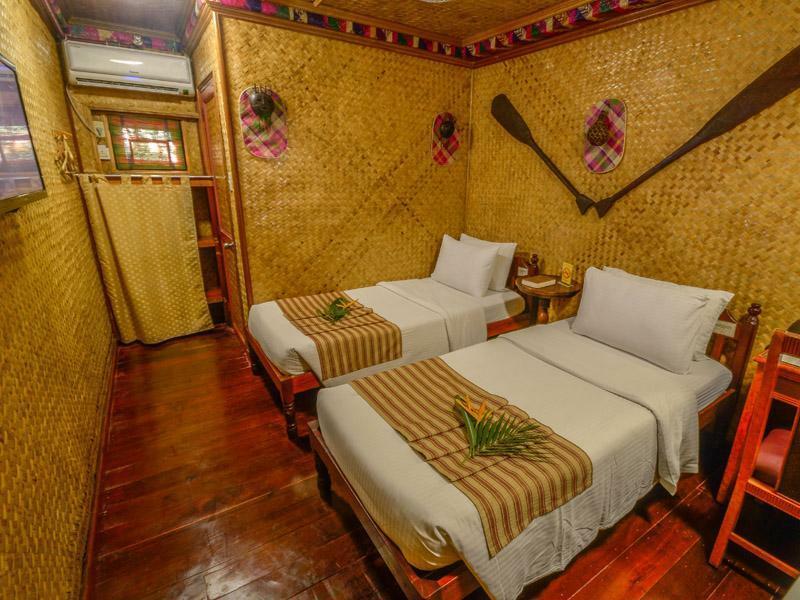 Any of the 21 tourist-class rooms offer a relaxing haven for the seasoned traveller, with a wide range of amenities and services such as massage, safety deposit box, hot/cold shower, satellite/cable TV, refrigerator, and a seating area. Using indigenous materials, the hotel exudes a unique local touch that is both restful and welcoming. 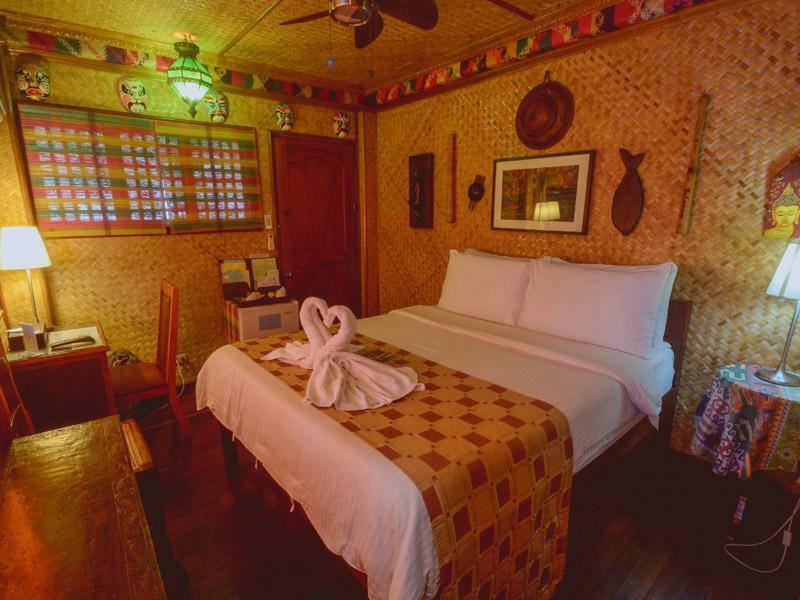 For your travels to Palawan, the smart choice is Puerto Pension. "The staffs were very friendly and helpful." I traveled all around SE Asia for a month and this was my favorite of all the hotels I stayed at. The property is absolutely gorgeous. The rooms are comfortable and very clean. The roof deck restaurant where they offer free breakfast has some of the best views in town. They have a massage service where they’ll come to your room to give a massage for Php 250. There’s a jacuzzi on site (though it’s not very warm - the air was warmer than the water). And Puerto Pension makes everything extremely easy - you can book tours straight through them as well as transport to El Nido. I would definitely stay here again. We enjoyed our stay at puerto pension. Native design is a great feeling. Breakfast was good and plenty. Staff were nice. Compound felt safe with gate and security. Aircon worked well. Jacuzzi was broken down and had storage stuff all around it, not sure when it will be fixed. All in all a decent value. Near Baywalk and local market. Free airport transfer was really appreciated. They really need to renovate the place. The first room they allocated to us were really smelly but they were quick enough to put us to another room. The hotel is getting old and tired, even the towels looks like they have not changed for years. Staff are very nice though. This is my kinda place. The staff was very friendly and helpful. The food was very good too. The view from the top floor restaurant was beautiful. The decor is outstanding along with the garden below. I will definatally stay here again!! The building and rooms were really nice and good value for money, the staff were lovely too. The only thing I could faulter was the restaurant as it was barely ever open. Even still I would recommend for sure! A simple no frills hotel - but with a nice garden and lights and nice staff. Breakfast is served on the terrace at the top with a nice view on the bay. Pleasant garden - rooms are a little old and smell of humidity - but nothing bad. 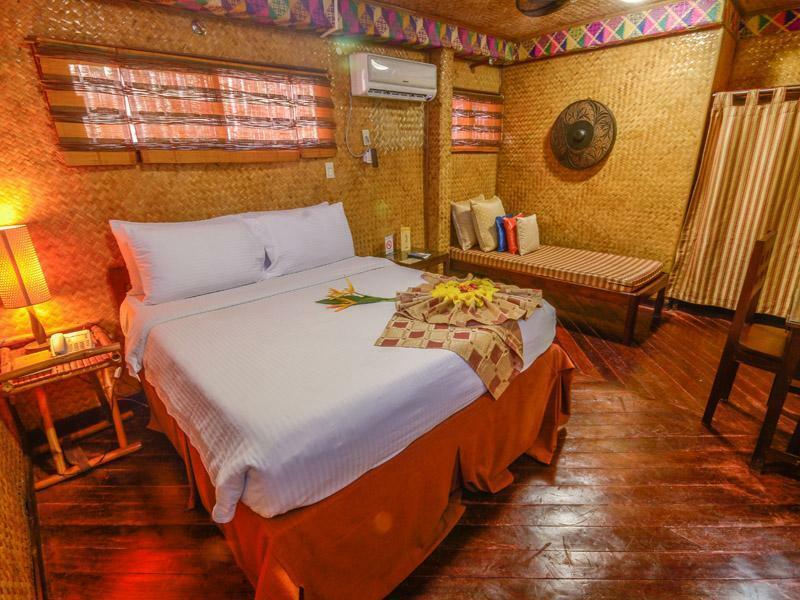 For one or two nights in Puerto Princesa is a good option. I have personally not seen anything I would have preferred to this hotel. For the price it's a great stay. Loved the design of the place. Breakfast was enough although basic. Staff were nice. Jacuzzi was broken, so was looking forward to it but couldn't use it. Decorated with local/native style crafts, materials, art, and people. 5 stars in the local sense, not the Hilton sense. Small rooms, cozy, and everything worked, Air Conditioner, WIFI, phone, lights, etc. Hardwood floor in the room, quite unique as it slightly creaks as you walk :-). The bed was exceptional mattress, pillows and covers, great sleeping, queen size in our room. (Not the usual foam mattress and pillows usually found in PH) Location: Quiet, and a one block walk to the Baywalk where fresh seafood and local dishes await, a treat for Filipinos and visitors alike. Stroll and enjoy a nice evening. Breakfast was included and adequate, freshly cooked, brewed coffee a plus. Getting around: Trikes cost 10 Pesos per person in town, 60 Pesos to the airport, the Hotel has free transfers for the airport however. A motorbike rental is located at the hotel if you wish to explore. Staff: Very pleasant and helpful with tours and shopping suggestions. 5 Stars. Tours, we did the Underground River and Honda Bay, both OK, heavily organized, book at the front desk. Hint, use plenty of sunblock., and a hat. Further: Puerto Princesa is but a small part of Palawan, some world class beaches and resorts remain hidden and unspoiled. This is a great place to stay. Nothing fancy, just pure Filipino hospitality and good value. From the initial included airport transfers to the welcome smiles and service, this is a great mid range value hotel. It is like a 3 storey cubby house. I shall come back again for sure. Even from the beginning I was impressed with this hotels attitude. They came and picked us up at the airport even though it was not requested. Staff are always smiling and willing to assist guests. Nothing fancy about the accommodation but we wanted to stay in this place because the pictures made us curious. It was clean & tidy, good room service to tidy and clean as required. Close to the main market commercial streets. Tours can be organised at the desk and better to do this to avoid "scalpers". Quaint and cosy. Not a lot of hot water.... but most Filipinos dont need it, so why should I? Don't expect 4-5 star and you wont be disappointed. I would stay here again and also recommend it. The staffs were very friendly and helpful. The continental style breakfast was delicious, big serving. The airport transfer was on time. The jacuzzi can be used from 6pm to 8pm only, but they allowed us to stay beyond the time. The place is just near to baywalk, public market and SM. Pension is situated in a quiet corner but very close to the baywalk. Staff is very friendly and helpfull. Free transfer to airport. The pension is a wooden structure which has its charm but the rooms need refurbishing. The view from the roof terrace on the bay was disappointing since the view was blocked by high trees. All in all not a bad place to be but really nothing fancy! Hotel has a couple of issues.wifi is a bit slow and shower not so good however overall hotel is great value good location and wonderful staff.